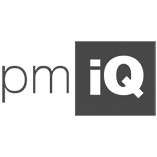 PMIQ was founded in 2010, focusing on offering our clients the best in Project Management training, both online and in a more traditional classroom environment. We have recently expanded our portfolio to offer existing and new clients a broader set of relevant courses to develop their knowledge and professional qualifications. We are a small family run business with extensive experience in Project and Programme Management, Business Consulting and Business Transformation/ Change Management. We are dedicated to offering you a high quality learning experience, flexibility to fit the way you wish to learn , and unrivalled levels of customer support. Please feel free to contact us with any questions you have. After graduating with a degree in Physics & Computer Science and a PhD in Physics, Nigel spent over 25 years in Project and Programme Management, primarily in the defence and telecoms sectors. He has particular expertise in managing globally distributed teams, bringing high tech products to market and in large scale (£100m+) business transformation programmes. Nigel heads up the company, focusing on future growth and strategic direction. 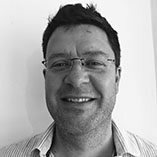 He is a fully qualified PRINCE2 Practitioner and MSP Practitioner, a PMI PMP and a Chartered Physicist! After graduating with a degree in Experimental Psychology, Olivia worked in a top tier Management Consultancy for 11 years, mainly focusing on clients in the Media and Entertainment sector. Following this, she set up her own consultancy focusing on Energy Efficiency in the domestic and commercial market. Olivia now leads our marketing effort and manages our product development team looking into and driving forward new courses and formats that our clients use to increase their knowledge and gain key qualifications to enhance their careers. Margaret has extensive experience gained during a long career in office management and administration. 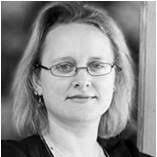 She ensures that all our clients get the material they need in a timely way and that all resources for clients and those behind the scenes are well organised to ensure we run a smooth and efficient organisation. Out support team are friendly and approachable with extensive product knowledge and are always here to help you get the most out of your training. Whether you need pre-sales advice, support and guidance throughout your course, or hint and tips on applying your newly acquired sills in the workplace, they are there to help you every step of the way.